Robert Boyd Bogle III-Born October 9, 1934 to Emma Elizabeth Greene Bogle and Dr. Robert Boyd Bogle, Jr. in Nashville, TN. He passed away at home with family at his side, after a short courageous battle with cancer. He was educated at Woodmont Grammar School, Hillsboro High School and graduated from Montgomery Bell Academy. While in high school, he began dating June Greer and continued their courtship throughout high school and college. He attended Georgia Institute of Technology where he received his degree in Architecture. In June of 1956 they were married and began their family as Boyd began his architecture practice with John Charles Wheeler and Associates. In 1968, he and John Badger opened their own firm of Badger-Bogle Architects. He was licensed in most of the southern states as well as designing the employee living quarters for King Fayed Hospital in Saudi Arabia. Their partnership practiced until 1998 after which he had his own firm. In his semi-retirement years, he did design work at John Coleman Hayes Contractors. One of the highlights of his last years was to be elected a commissioner in the city of Belle Meade. With his expertise and knowledge of how to further projects, he was a valuable member of the commission and loved being a part of it. Throughout his life he and June loved to travel. In 1986 they spent a month going around the world on their own. After visiting many countries, in the later years they settled on Italy as their favorite and would spend several weeks there during spring or fall. They had many trips with their family, especially enjoying Christmases in the Caribbean. Boyd and June always enjoyed their small but close-knit family consisting of sons, Robert Boyd Bogle IV and his wife, Pamela, Herschel Greer Bogle and his wife, Patty; daughter, Reed Elizabeth Bogle; granddaughters, Kristen Elise Nelson and her husband, Ben and Julie Lynn Bogle; great-granddaughter, Claire Elise Nelson. He is also survived by a sister, Marguerite Bogle of Burlington, VT; brother-in-law, H. Lynn Greer, Jr. and his wife, Elizabeth and several nieces and nephews. Boyd was a lifelong member of First Presbyterian Church. 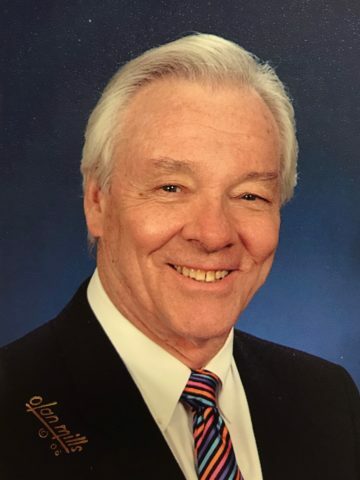 He served on the Board of Deacons and as a Sunday School teacher for years. His life will be celebrated at the church, 4815 Franklin Pike, Nashville, TN 37220 on Monday, January 29, 2018 at 12 noon with visitation from 10 a.m. – 12 p.m. So I found out today my friend Boyd Bogle, Nashville Architect, Belle Meade council member and good friend has passed away. If not for Boyd, I would have never visited Milan, never met many wonderful Italian folks that I now consider dear friends. I owe Boyd and June a debt of gratitude for a life I would have otherwise never known. You are with me ….especially those times where I touch the chilly waters of Lake Como and breathe in the peace of the Italian paradise that is my second home. June and family I am so sorry for your loss. Prayers for all. Dear Bogle Family, my sincere condolences on Mr Bogles passing. I remember many day s spent with Bogle (Reed) and the huge presence Mr B was. Love to your whole family.